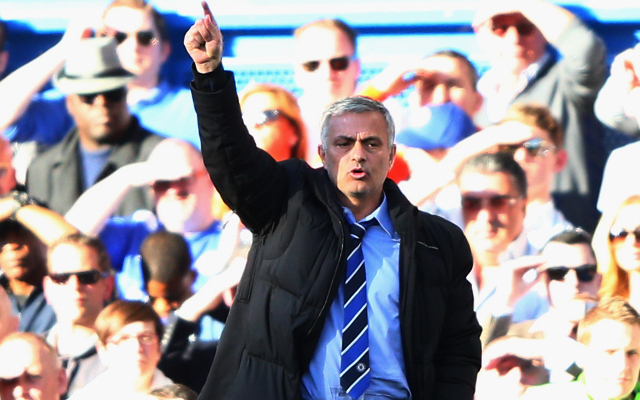 Chelsea boss Jose Mourinho was at his tactical best in Saturday evening’s victory over rivals Manchester United, and the win has left the Blues needing just six points to seal the Premier League title. The Red Devils bossed the stats with over 70% possession and over double the efforts on goal than Mourinho’s men, but it was the Portuguese who took the plaudits. While Chelsea have their critics over the way in which they’ve played this season – particularly with their last four domestic fixtures having been won by just a single goal margin – the Blues boss is having the last laugh. Along with sitting ten points clear of second place Arsenal at the top of the Premier League – as this graphic by Oulala shows, Mourinho has been dominant over his closest rivals – Manchester United, Arsenal, Liverpool, Tottenham Hotspur and Manchester City – in his two spells in England with the Stamford Bridge outfit. In 190 Premier League fixtures, the 52-year-old has won an incredible 133 and lost just 18. 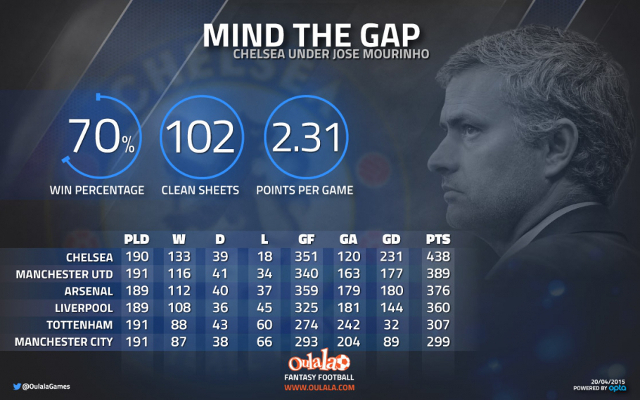 What’s more, for all the ‘park the bus’ quips aimed at Chelsea’s tactics, the Blues have scored 351 goals during Mourinho’s two spells with the club – with only Arsenal having scored more in the same period. Chelsea are set to return the Premier League trophy for the first time since the 2009-10 season under Carlo Ancelotti. For all the Portuguese’s critics, he has expertly maintained his team’s position at the top of the league – and the fact of the matter is, no other Premier League manager has been able to keep up with the ingenuity of the Special One this term.